This story was originally posted on the BBC's blog. Read the original here. It’s been a while since our last blog describing how we made Blue Planet II available on BBC iPlayer in UHD Hybrid Log-Gamma (HLG) HDR. But that doesn’t mean we’ve not been busy with UHD HDR - in fact, far from it. Since then we have been working hard with our colleagues in BBC Media Services to add UHD HDR encoding capability to their existing iPlayer encoding platform. Some of you may have seen or read about the recent trials of live UHD HDR streaming in BBC iPlayer, which are all part of that work. 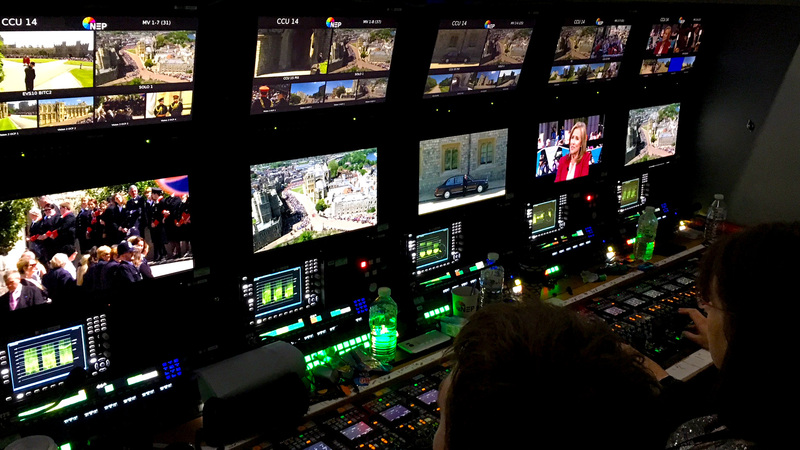 To produce those signals, we have also been working with the outside broadcast providers to develop live HLG HDR production workflows for BBC use. The challenges are much harder for live production than non-live production, which is now well understood. Not only is there just one chance to get things right with live, live production must also handle a whole host of different sources (e.g. graphics, HDR cameras, SDR cameras, pre-recorded inserts, slow-motion replays), all available in different signal formats, and blend them together seamlessly into a single programme. That might sound straightforward with HDR format conversion technology now widely available, but in fact it’s fraught with difficulty, which I shall explain later. As part of our mission to facilitate HDR production, we have been working hard within the ITU-R’s Rapporteur Group on HDR Television to document current best practice for HDR television production. 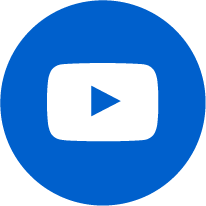 Last October the ITU-R published their findings in its Report BT.2408, “Operational Practices in HDR Television Production”. The report draws on the experience and expertise of broadcast engineers, colour scientists and colourists from around the world. 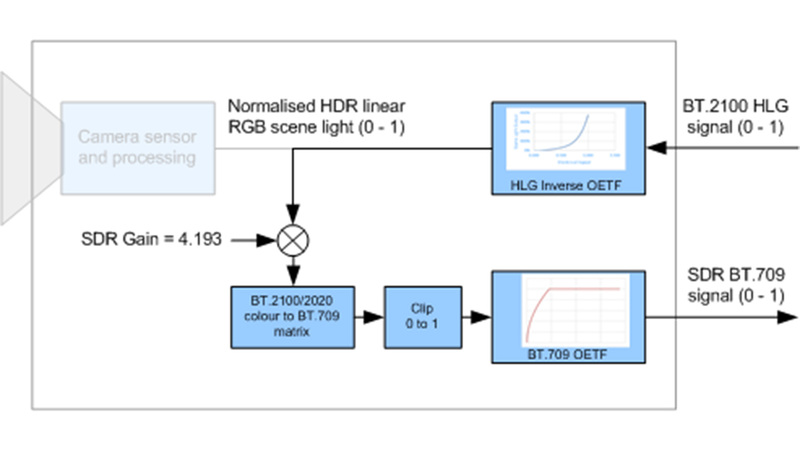 As well as specifying signal parameters, camera line-up levels and methods for SDR/HDR format conversion, it documents BBC R&D’s findings on monitoring image brightness to ensure comfortable viewing of HDR images in the home, our work adapting the HLG “system gamma” (as noted in ITU-R BT.2100) to ensure the highest image consistency outside of the reference viewing environment, and in the most recent revision (BT.2408-1), our work on signal levels for skin tones. 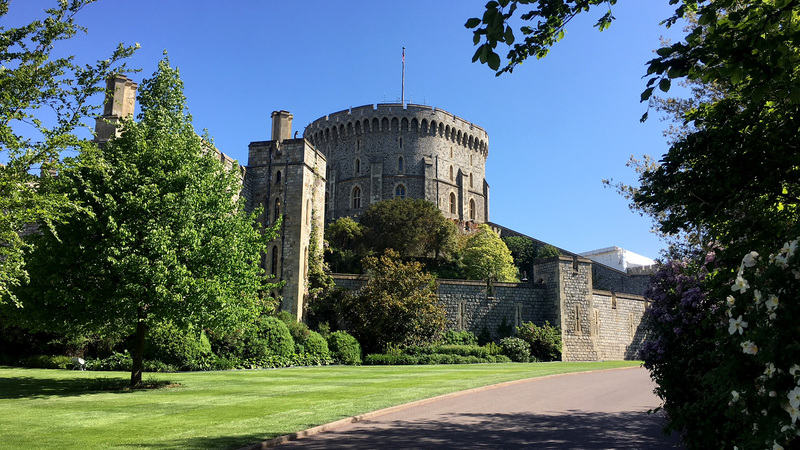 So, when we were asked to support BBC Television Events in the HDR production of the Royal Wedding, we leapt at the opportunity to put all those learnings into practice. 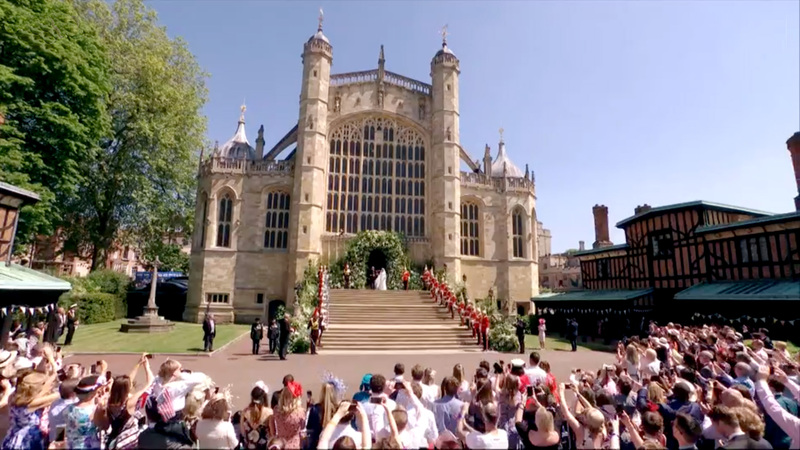 Following a series of tests with our production partners (hosted by our OB provider for this event, NEP UK) we finally got the go ahead to configure all 76 of the BBC’s UHD cameras (including 3 UHD radio cameras) to capture the wedding of the Duke and Duchess of Sussex in UHD wide colour gamut, BT.2100 Hybrid Log-Gamma (HLG) HDR. 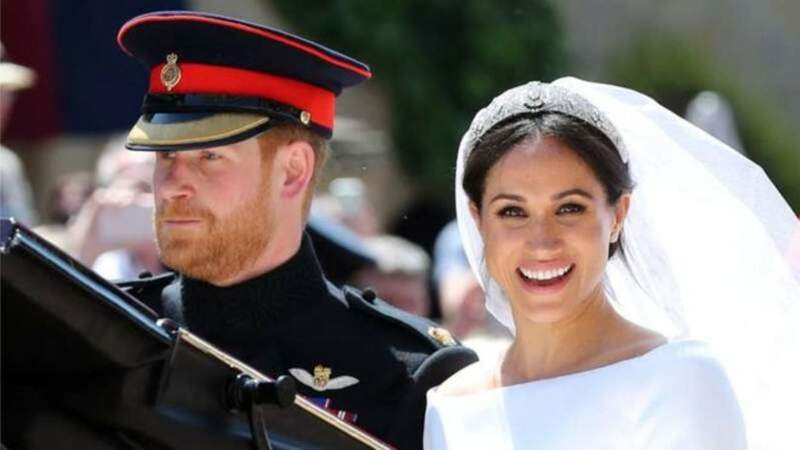 Even though we did not transmit the programme in UHD HDR, we were able to test some important parts of our system during the Royal wedding and preserve it for the archives. With such good weather on the day, the HDR images from both inside and outside the chapel are truly spectacular, and amongst the best I have ever seen. An important requirement for this production was that the UHD HLG HDR signal had to be converted to conventional standard dynamic range (SDR) BT.709 for onward distribution. As so many viewers would be watching the conversion, it needed to look identical to the SDR signal that would be available from a conventional SDR camera. The SDR signal could not be compromised in any way through having been derived from the HLG HDR signal. That type of conversion had so far proved particularly difficult to achieve. The majority of HDR down-converters on the market, including our own licensed down-conversions, are based on “display-light” conversion technology. That means the conversions calculate the light emitted by a reference monitor being fed the input signal, and then convert that signal to one that would cause exactly the same light to be emitted by a reference monitor operating in the desired output signal format. They may apply some adjustments, for example to make an SDR image appear brighter when shown on an HDR display, but the principle remains the same. By doing so, a “display-light” conversion maintains the artistic “look” of the original production format when converting the signal to the new format. Display-light conversions work well for non-live graded programmes, but they are not generally suitable for live TV production. In live production we frequently need to convert between SDR BT.709 and the HDR production format, whichever is being used. But each format has a different “look”. 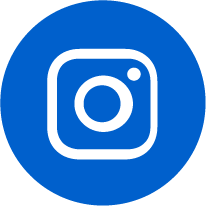 By that we mean that the overall image brightness, and the reproduction of tones and colours within a scene are different for each image format. By an accident of its design, standard dynamic range BT.709 images tend to be more colourful than nature. That was a useful feature when we viewed them on dim CRT displays, as the eye is less sensitive to colour at low luminance levels. A good example of this could be seen at the Royal Wedding where in SDR BT.709, the walls of Windsor Castle appeared to be built of a yellowish sandstone, rather than the real paler Clipsham limestone. By contrast BT.2100 HLG HDR images are, by design, remarkably natural in appearance. We no longer need that colour boost as HDR images are intended to be viewed on more modern brighter displays, and the way in which the natural “look” of HLG is achieved makes it easier to deliver consistent looking pictures across a range of displays of different peak luminance. So, converting between SDR BT.709 and HLG using a conventional display-light technology, that preserves the look of the original format, does not necessarily deliver what’s required for live production. A display-light conversion of a BT.709 camera to HLG would look more saturated than a native HLG camera when cutting between them. 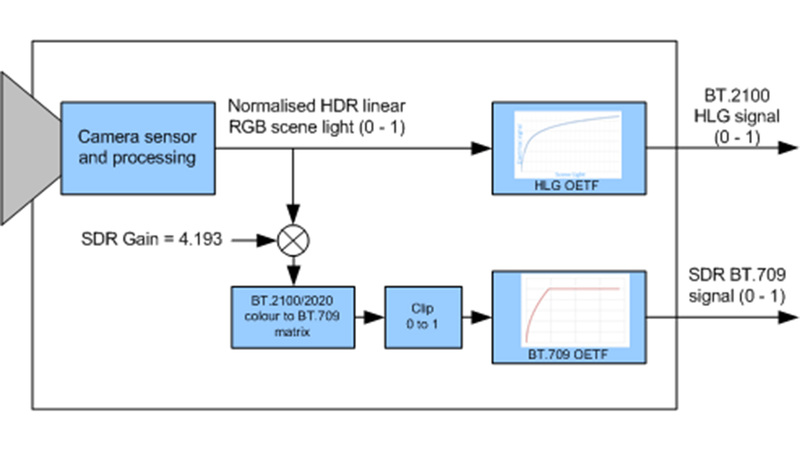 Similarly, a display light conversion from an HLG HDR camera to BT.709 would tend to look less saturated than the SDR BT.709 signal from a camera pointing at the same scene. The differences arise because each format has a different relationship between the light in the scene falling on the camera sensor, and the light emitted by the display. That relationship is known as the OOTF (opto-optical transfer function). 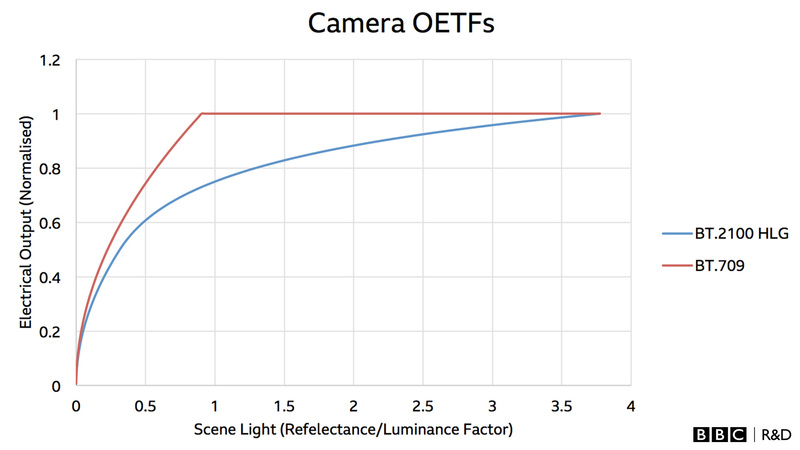 The OOTF is the concatenation of the camera OETF (opto-electronic transfer function) and the display’s EOTF (electro-optical transfer function). More details can be found in Section 2 of the ITU-R Report on HDR television production, BT.2390. Similar problems are encountered using display-light conversions with other HDR production formats. What is needed instead are “scene-light” format conversions, where those issues can be avoided. To understand why scene-light conversions address the needs of live HDR TV production, it’s helpful to consider how a typical HDR TV camera works. A simplified diagram is shown below. Many HDR cameras for live TV production offer two simultaneous outputs – one HDR and another SDR BT.709. The linear light signal from the camera sensor is considered to be normalised in the range zero to one. In practice other normalisations might be used to achieve the desired signal levels and noise performance. The linear light signal from the sensor is passed through the HDR camera OETF to convert it to the HDR electrical signal for output. The camera exposure is adjusted for the HDR output, and the SDR signal is derived by applying a fixed gain to the linear scene-light from the sensor, followed by a conventional BT.709 OETF. SDR cameras are usually adjusted so that, under controlled lighting, the SDR signal hits full-range for a 90% reflectance test chart i.e. a card that reflects 90% of the light falling on it. In practice, under varying lighting conditions such as those found at an outside broadcast, the cameras are adjusted for correct exposure of skin tones, but they are roughly equivalent setups. ITU-R BT.2408 recommends that the same 90% reflectance card should deliver an HLG signal of around 73%. By working through the mathematics, it can be found that applying a gain of 4.193 (12.4 dB) to the linear scene light signal before applying the SDR BT.709 OETF, ensures that both SDR and HDR signals are correctly exposed. The responses of the camera SDR and HDR OETFs, with the appropriate gain applied, are shown below. In practice other gain adjustments may be included in the camera channels. We found that we had to dial-in a gain offset of 9.0 dB on the cameras that we were using to achieve the desired exposures. As discussed earlier, for our application we needed to take the HLG HDR signal and convert it to SDR BT.709 after the UHD production mixer (or switcher). The end-to-end workflow that we used is described in detail in Section 7.1.3 of the new revision of ITU-R Report BT.2408. By changing the direction of the signal flows in the camera diagram above, it’s easy to see exactly how that can be achieved. The RGB HLG signal is passed through an HLG inverse OETF to recreate the linear scene-light signal produced by the camera sensor. The scene-light signal is then passed through the same SDR processing chain found in the camera – a scaling of 4.193, followed by a clipping stage and finally the standard BT.709 OETF. The HLG to SDR conversion could apply more sophisticated tone-mapping from HDR to SDR and colour management. But the diagrams neatly illustrate the principles of scene-light conversion. The final results from the scene-light conversion were so good that the Vision Engineers were able to rack (or shade) their cameras in the conventional manner, using SDR monitoring and the SDR output from the camera control units (CCUs). They knew from our earlier tests that the exposure of the HDR signals would track the iris adjustments made for SDR and deliver spectacular HDR images. On the day, they were sufficiently confident with the conversion that it was left to just me and my R&D colleague Simon Thompson to monitor the HDR, and the subsequent down-conversion to SDR BT.709. Small differences were just perceptible when comparing the SDR conversion and native SDR from the camera CCU side-by-side, due to minor differences between the HDR and SDR camera channels. However, one was not necessarily better than the other, and the Vision Supervisors working in the UHD HDR OB trucks were very happy with the results. In fact, the whole production crew were so satisfied with the results that we discovered our HLG to SDR down-conversion was the signal source for the international 1080i SDR feed, reaching an estimated audience of 1.9 billion viewers worldwide. Quite an achievement for HLG HDR, and one we’re very proud of. Developing this simple scene-light format conversion might at first seem like a small step towards completing the HDR production eco-system. But in fact, the problem of ensuring near identical colours in SDR content derived from an HDR workflow, compared with those from an SDR production workflow, is one that the whole industry has been trying to solve. It has so far proved a block towards the widespread adoption HDR live production. This new workflow that we developed, greatly simplifies HDR production without compromising quality. It was used for the very first time last week for both The Royal Wedding and a sporting event in the U.S. Now that the solution has been shown to work so well, and on such a large scale, we are hopeful that it will enable a significant increase in HLG HDR television production; which can only be good news for television audiences around the world. This article was originally published on the BBC 25 May 2018. NEP is headquartered in the United States and has operations in 24 countries. Learn more at nepgroup.com. Read an article about NEP UK's Student Day from Kit Plus Magazine.